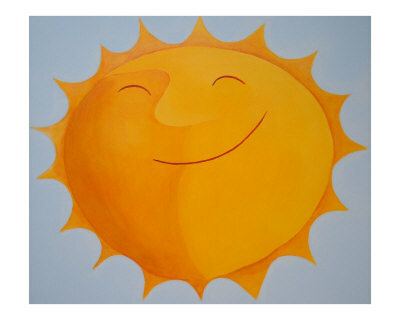 OK, say it with me – “summer’s best has yet to come.” I have to believe that this past rain-soaked, windswept month was simply Job-like preparation for splendid days ahead. Are you ready? I certainly am. So too are the many are venues presenting my favorite hot weather pastime, outdoor music. Here are but a few regional choices. All the details can be found in my Google calendar, linked at the Local Rhythms website. Most Thursdays, the Claremont Farmer’s Market has music. Tonight it’s bluegrass, followed by a community band concert at 8. In Sunapee, you can count on a one show every Wednesday at the Bandstand and Saturday at Flanders Stage (with a bonus day of blues on Sunday as well) through September. On the other side of the lake, Newbury presents live music on their bandstand each Thursday. This week it’s bluegrass from the Mink Hills Band. New London gets into the act over three mid-August Fridays (the 10th, 17th and 24th) on the town common. Also, there’s two big all-day rock shows on the way. Whalestock reprises last year’s successful show on August 11 at the Whaleback Ski Area. It features rockers Hexerei, Sarvela and Iron Box, along with alt-rock, reggae and folk pop. 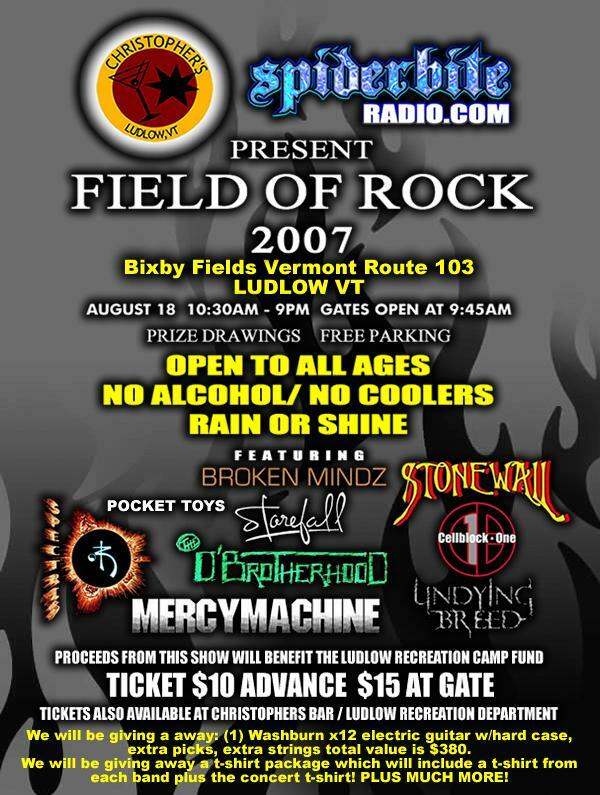 The following Saturday’s “Field of Rock” presents good music for a good cause. Some of the area’s best bands – Stonewall, D’Brotherhood, Spectris and others – gather at Ludlow’s Bixby Field to raise money for the Ludlow Recreational Camp Fund. With 12 hours of music (a 10:30 start) at 10 bucks a ticket, it’s a bargain too. Down the road at the Jackson Gore resort, the free Friday alfresco shows continue through the end of August. The Okemo Chamber of Commerce just kicked off their Summer Music Series, which happens Tuesdays in Ludlow, Wednesdays in Proctorsville and Thursdays in Chester. There’s a fine assortment of musical talent, including Chris Kleeman, Gypsy Reel and the Starline Rhythm Boys, through August 23. There’s also music every Thursday in Lebanon’s Colburn Park, Fridays on the Norwich Town Green, and Pentangle Arts has a few noontime shows lined up Thursdays on the Woodstock Village Green. Finally, local Americana supergroup the Stone Cold Roosters plays Hanover’s sidewalk sale on Saturday. So whatever the weather, you can still dance. What else can we look forward to? Thursday: The Elmores, Salt Hill – The club’s regular blues night features a band which probably got its name after a few shots of rock and rye, led by the ubiquitous Ted Mortimer, he of Dr. Burma, Ted & Linda and the Stone Cold Roosters (is there a genre he hasn’t mastered? ), with support from drumming ace Bobby Gagnier and Brian Kennell. BTW, Brian’s band the Squids are at the Newport Salt Hill tomorrow. Saturday: Championship of New England Barbeque, Harpoon Brewery – A big weekend event featuring seven bands over two days, along with every musician’s favorite combination – barbeque (pork ribs, brisket, chicken wings, sausage, pork chops) and beer. There’s an eclectic blend of music, too. On Saturday, El Gringo plays cactus funk, Otis Grove gets funky, and Distance to Empty (love that name!) specializes in Kansas pop rock & roll. Sunday, Nobby Reed does the blues, and Wherehouse, fronted by Jason Cann, just plain rocks. Sunday: Day Four, Falcon Ridge Folk Festival – If you live, like I do, to discover new music, the long drive (just over the New York state border on the Pike) is worth it for this lineup. Friday’s probably the best day, with a song swap starring Richard Shindell, Marshall Crenshaw and others, as well as the mid-day New Music Showcase. But most of the musicians are around for at least two or three days. Who, you ask? Well, Arlo Guthrie, Dar Williams, Gandalf Murphy, John Gorka, Eilen Jewell and Mary Gauthier – plus a bunch you don’t know yet. Tuesday: Rich Meijer, Elixir – White River Junction’s latest nightspot has been likened to Canoe Club for the small plate features and the frequent music. Recent guests include Lisa Rogak, Wise Rokobili and Terry Diers. Upcoming are Matt McCabe. Mark Shilansky and Dave Clark’s Juke Joynt. Sounds like a good vibe, and Gully Boy alum Meijer will certainly add to it. Wednesday: Songwriter’s Night, Firestones – One of my current favorites, Lori McKenna, got her start this way, at an open microphone for original songwriters. Now, she’s a Nashville darling. OK, Quechee isn’t Cambridge, but who knows what talent lurks in our own backyard? Jason Twigg-Smith leads the festivities.